Today, B.A. 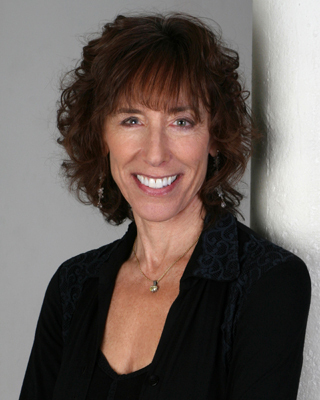 Shapiro is here to talk about The Art Forger– on Thursday, she will be back to discuss #literaryconfessions and more! Barbara- The Art Forger, in part, was inspired by the real life Isabella Stewart Gardner Museum heist of 1990. What was your inspiration for Claire? Did you consider setting the novel in an earlier time- closer to the art heist? Claire is a struggling artist, semi-confident in her talent, strong on ambition and feeling like she’s getting nowhere in her career despite past successes. When I was working on The Art Forger, I was a struggling writer, semi-confident in my talent, strong on ambition and getting nowhere in my career despite past successes. Need I say more? How long did The Art Forger take to write? It’s always hard to answer this question as you don’t start one day and end on another. Writing a novel is a process for me, it includes lots of planning – plotting, multi-colored file cards, character sketches – lots of research – including books, interviews, Internet – and then writing and rewriting and rewriting some more. If you count all of those things, my guess is it took me between three and four years start to finish. Are any of the characters in The Art Forger based on people you know in real life? Or are they created from your imagination? Some of them are, some are composites, some are completely fictional. But even if you start with a real person in mind, the story changes them and they become the character rather than the person. For example, Rik is based on a friend of mine; he fits the general description and behavior of the real Rik, but he’s a curator at the Gardner and the real Rik owns a boutique on Newbury Street. Claire is the great imposter in the art world. Is that fair? Or is Claire being punished too severely? This is a question I hope the reader will consider. How do we get labeled as good or bad? And who does the labeling? Human beings are complicated. I’m sure Mother Teresa did a few “bad” things in her life, and that the Boston Strangler did many good ones. What is fair? And is fairness something we can expect from life? From a novel? If The Art Forger was made into a movie- do you have a dream cast? I’d love to see Claire Danes and Jude Law. Have we, as readers, heard the last from Claire and others in The Art Forger? All of my books have been stand-alones, although I did once have a major character from one book (Shattered Echoes) become a minor character in another (Blind Spot). Although the temptation is there – and lots of people have told me they’d love another Claire book – I think that in most cases, one book is enough for a character. I worry she’d lose her freshness. What are you working on next, Barbara? Can you give us any hints? I’m working on another book about art, which also goes back and forth in time, but this one focuses on the past story. This story takes place right before WWII in New York City where the future abstract expressionists – Jackson Pollock, Lee Krasner, Mark Rothko, etc. – are all young, unknown and working for the WPA. My fictional character is one of the gang, but aside from her passion for art, she is trying to get her French Jewish family out of France before the war begins. And as in all good stories, she finds trouble, trouble, trouble. *Special thanks to B.A. Shapiro for agreeing to be interviewed! B.A. 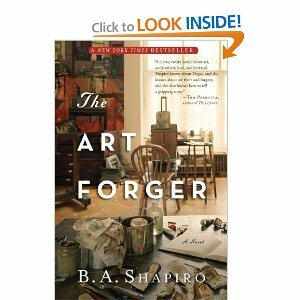 Shapiro, author of The Art Forger (which can be bought in paperback now!) can be found on Twitter, Facebook, and has a website. To read my review of The Art Forger, visit here. I enjoyed the review with the author, B.A. Shapiro. This is one of those books I’ve had on my mind. I want to read it. I love to read about artists and art. It’s a great book! I think you’ll really enjoy it! Thanks for stopping by! Great interview! I’m so glad that you STILL love the book 🙂 Made the snowstorm totally worth it! I loved the Art Forger as well and enjoyed reading this interview. Thanks! You’re welcome! Thank you for stopping by and reading the interview!